Five hundred years ago Protestant Christianity began with one stubborn monk. Today, it includes a billion people across the globe. The upheaval Martin Luther triggered inspired one of the most creative and destructive movements in human history. 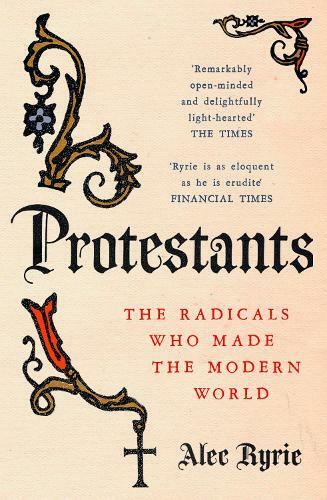 Protestants is the story of the men and women who made and remade this quarrelsome faith. Fired by life-changing encounters with their God, they set out for every corner of the world, demanded alarming new freedoms and experimented in new systems of government. Inspired by their newly accessible Bibles, they transformed their inner lives, a transformation that spilled over into social upheavals and political revolutions. In the process, they have played decisive roles on both sides of the great ideological battles of modern times. Protestants have been both for and against liberalism, imperialism, slavery, Nazism, communism, apartheid and women's rights. Yet beneath it all is a shared passion for God, a vital belief in the principle of self-determination and a readiness to fight for their beliefs. Protestantism's global story is still only just beginning. As this ever-changing faith puts down deep roots across contemporary China, Africa, and Latin America, Alec Ryrie's dazzling history explores how its restless energy made and is still making the modern world.